Established over 30 years ago, our family owned and operated business has been providing quality flooring services to the Metrowest and surrounding areas. Chuck and Carol Sears have been owners of Framingham Carpet Center for nearly 35 years. As a family owned and operated business, we are experts in finding the right flooring that is tailored to your needs, and pride ourselves in making customer satisfaction our highest priority. 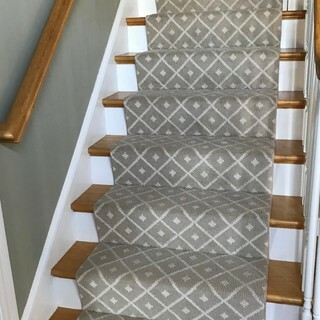 Our large showroom offers a variety of flooring options including carpet, hardwood, laminate, LVT, LVP, sheet vinyl, and custom stair runners. We represent all the major brands including Mohawk, Dream Weaver, Shaw, Tarkett, Couristan, Stanton, Johnsite, to name a few. Please visit us at 881 Waverly St. (Route 135), Framingham, MA. Our friendly staff will be more than happy to help you make the right decision.